Of the 18 percent currently using it as part of their strategy, 40 percent cited it as one of their most important investments in improving sales and marketing performance. Of course, the tech is only one piece of the puzzle: 69 percent said they had data scientists on their marketing team. Thirty-eight percent had one to three scientists, 24 percent had four to six, four percent had 7-9 and three percent employed over 10; 31 percent had no data scientists on their team. 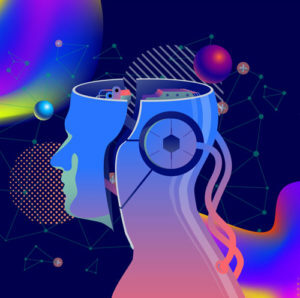 “We’re still in the early days of AI for B2B marketing and sales, and there is a great deal of education that is needed to close the gap between implementation and expectations,” said Peter Isaacson, CMO at Demandbase. The biggest barriers to adoption weren’t surprising: 55 percent cited cost/budget constraints, 52 percent cited skills and 31 percent were unsure how to start. Top of funnel applications such as identifying the right accounts or individuals to target (64%), improving the reach or efficiency of digital advertising (54%), and capturing intent signals from accounts or individuals (46%) were cited as top priorities for artificial intelligence investments. There were several areas marketers are hoping AI will help improve results, including higher lead quality (67%), better engagement with customers and prospects (56%), and better understanding of buyer intent (52%). 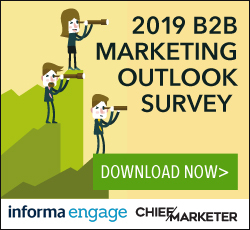 The research, conducted in Dec. 2018, surveyed 276 U.S. B2B marketers at organizations with $25 million or more in annual revenue; 111 responses were used in the analysis.